Quavo has finally address controversies surrounding him dissing Lil Peep. When he released his new album, Quavo Huncho, last week Friday, Lil Peep fans immediately recognized some of the lyrics and moved to blast the Migos rapper. Huncho is finally breaking his silence about that fiasco as he assured the folks that love the late rapper that he wasn’t dissing him. Nevertheless, some close friends of Peep are not happy and are calling for a boycott of Quavo’s new album. Someone was quick to point out to Quavo that XXXTentacion didn’t die from drug abuse. 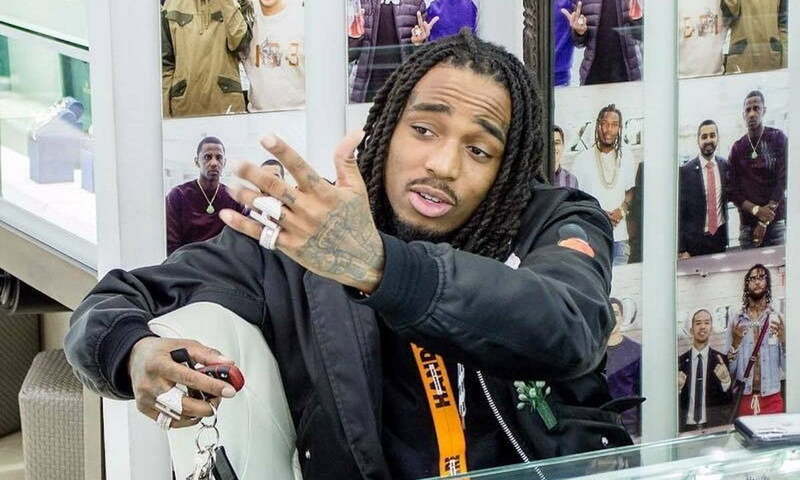 The Florida rapper was actually murdered back in June in an apparent robbery. In Huncho’s defense, he likely means anyone who lost a loved one under any circumstance. Lil Peep died last year from a drug overdose. His friends and followers have been keeping his memory alive ever since then, and they are very protective of him. Whether or not Quavo was able to win them back over only time will tell. His new album is now out, and he is getting mixed reviews for his debut effort. As for Peep, his team has confirmed that some new music is on the way.